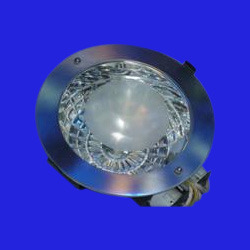 Our organization is engaged in manufacturing and supplying of a wide range of Electrical Products like Foot Light Pathway Lights, Flood Lights, Garden Lights, Indoor Concealed Fitting, Wall Lights, Lovely Lamp Shades etc. These are fabricated using premium quality materials that are sourced from the reliable vendors in the markets. We have a spacious infrastructure facility that is spread across a wide area. This unit is equipped with the advanced machinery and tools. Our range is made in our advanced manufacturing unit and under the guidance of our expert professionals. We also check the quality of our range of products on various parameters to offer defect free range to our clients.